Wearing a cape is a true fashion statement. It either says 'I'm a superhero,' 'I'm retarded,' or 'I'm drunk.' Guess which one we are. The Chop is not the type of baseball fan who needs a bunch of cheap gimmicks to get us in the gate. Cheap beer would be nice, but cheap gimmicks are totally unnecessary. Sure, we’ve got more than our share of Orioles T-shirts, and we might be more likely to show up if we know its bobblehead night or Miller Light Floppy Hat Day, which is pretty much a municipal holiday here in Charm City, but by and large we aren’t impressed by baseball swag. 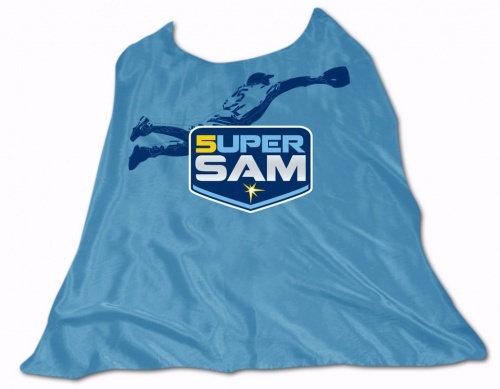 With that said, we really kinda wish we could attend Super Sam Fuld Cape Day at the Trop. The Rays might just be the Major League champions of promotional giveaways in 2011. We haven’t looked over the schedules for every team, but they’re definitely on to something with this whole ‘buy a ticket to the ballgame and stay for a concert’ deal, which they’re doing several times this year featuring artists who, while we’re not into them, are at least legitimately famous. They’re also giving away a variety of t-shirts and a few different bobbleheads, as well as a Joe Maddon coin bank which looks more like Phil Rizzuto and an Evan Longoria cereal bowl and spoon set. We can’t tell you how many times we’ve slurped down the last dregs of milk and been frustrated and disappointed not to see a big league 3rd baseman staring back at us. We’re definitely going to be eBay-ing that one. But the Super Sam Fuld cape absolutely takes the cake. Sure, Fuld is having a great year, but ultimately we’re not sure he’ll ever be more than the answer to an obscure trivia question many years down the road. To us this may be something on the order of the Rollie Fingers wax mustache or the Dustin Pedroia temp-tramp-stamp tattoo. (Okay, we made both of those up, but they could be true.) To our mind, this is absolutely the greatest giveaway since last year’s vuvuzela night in Miami. 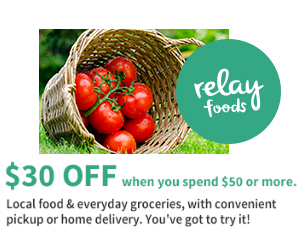 The only downside to this awesome, incredible giveaway? It’s only for kids 14 and under. Those little punks have all the fun. Update: Thanks to Rick Vaughn in the Rays’ front offiice for reaching out and mailing the Chop a Super Sam cape of our very own! This entry was posted in Promotions and tagged Baltimore, Baseball, Devil Rays, Canadian healthcare augmentin, Biaxin 500 mg, MLB, promotions, Rays, Saint Petersburg, Sam Fuld, Super Sam Fuld Cape night, Tampa Bay, the Trop, Tropicana field. Bookmark the permalink.